Remember chia pets? Those funny shaped pots that would grow “hair” from chia seeds? Well now chia seeds are all the rage for the variety of health benefits they provide. Chia seeds are high in omega 3 fatty acids, fiber, protein and antioxidants, to name a few. Because of all the fiber in chia seeds, they actually expand and turn into a jelly when soaked in liquid. That comes in handy when making this pudding. 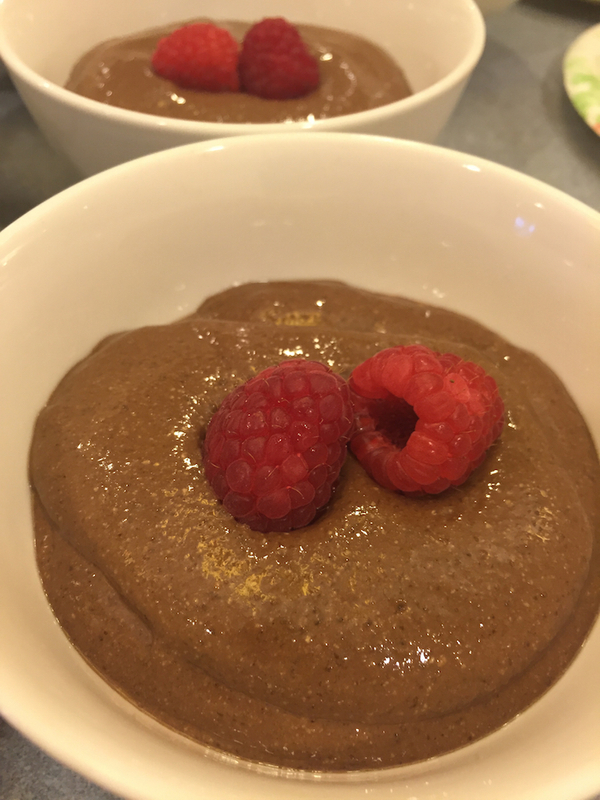 While this isn’t your traditional pudding, it’s a much healthier version that’s vegan and gluten-free. It has a deep dark chocolate flavor, and you can control the level of sweetener to reach your desired level of sweetness. While I originally made this with unsweetened almond milk, next time I think I’d used sweetened almond milk and add maple syrup as needed when blending. You can leave the chia seeds unblended for more of a tapioca-like consistency, but I definitely preferred this blended smooth. Give it a try and let me know which way you like it! In a large bowl, whisk all ingredients together. Cover and refrigerate overnight, or at least 6 hours, until the chia seeds have thickened. Using a blender in batches, blend the pudding until smooth (this takes a while). Taste and adjust seasoning as desired.